.925 Sterling Silver drop earrings with authentic Murano Glass beads of acqua over sterling silver post and sterling silver clutches. 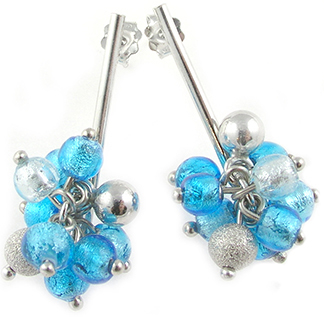 Very popular style of earrings with the cluster of 6mm beads. Length is just over 1 inch.